How to check SSC Result 2019 by SMS? 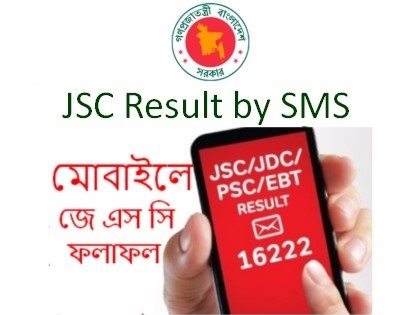 Junior Secondary School Certificate – SSC Result 2019 by SMS is important to all examine. Most of the people are looking for the SMS System. They want to check their Result fast from mobile SMS. We have detected the issue in our current research and search queries. If you are also looking for this, you are welcome here. There are too many benefits are available on this. If you are using a feature phone, you can follow this process to check SSC Result 2019. You don’t have internet volume (Data) at this moment or Packet Data isn’t working, you can still check the SSC Result 2019 by SMS. So, we recommend you to read the post completely. We have written it with complete information. Official Mobile SMS System of Education Board Result 2019 is for all Public exam Result. So, anyone can check their SSC, SSC or HSC Result from Mobile SMS. Let’s check SSC Result by SMS from the below official Format. Everyone wants to check their Result early and fast from others. Most of them select an online platform. But, there is some trouble detects when the Result online publishes. If you like or select online method for your Result, you can still sending a message. We hope it will give your Result faster from online. Only 2.44 TK require for checking SSC Result 2019 by SMS. Are you ready to get your Result from your own Mobile Phone? If yes, you can try the SMS Format we have added to the below. Just keep ready the SMS format in your New Message and wait until the time of Publish the Result officially. Then send the message to 16222. The SMS will show like SSC DHA 123456 2019. Just send the message and wait for your Result. The Result will be delivered to your Inbox shortly from 16222. It will carry Examine Name and GPA. It will also inform you that details Result will be available after 6 PM and Powered by Teletalk. Here are the details conditions available for SSC Result 2019 by SMS. You can hear it. It will help you to get your Result faster. Use multiple Messages to get Multiple Roll Result. It is a big question that How to check my SSC Result 2019 by Mobile SMS. Most of the SSC Candidates are mobile users. They can easily check their own Result from their own Mobile Phone. It is very easy and simple. Just read the general condition’s again if you skip that. Then, follow the below Mobile SMS Format and type it in your Mobile Message option. After typing the message, Send it to 16222 (After publishing SSC Result 2019). Only Roll Number is enough for checking the SSC Result 2019 by SMS. No more hidden conditions are available for SSC Result 2019 by SMS. But, you can send Multiple Message for your Single Roll Result. To do this, we recommend you to send the message from various operator numbers. The operator serves quality network service in your area, you can send the message from this operator. Probably, you will get your Result faster. If you need any more data, please let’s inform us now.